Welcome to day 17 of our Top of the World tour. 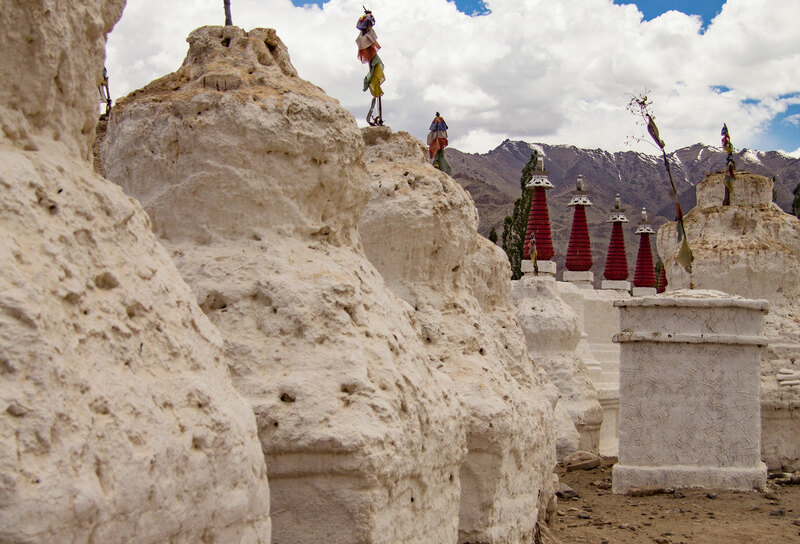 We’re back in Leh where we first headed to check out the nearby villages of Shey and Thiksey. 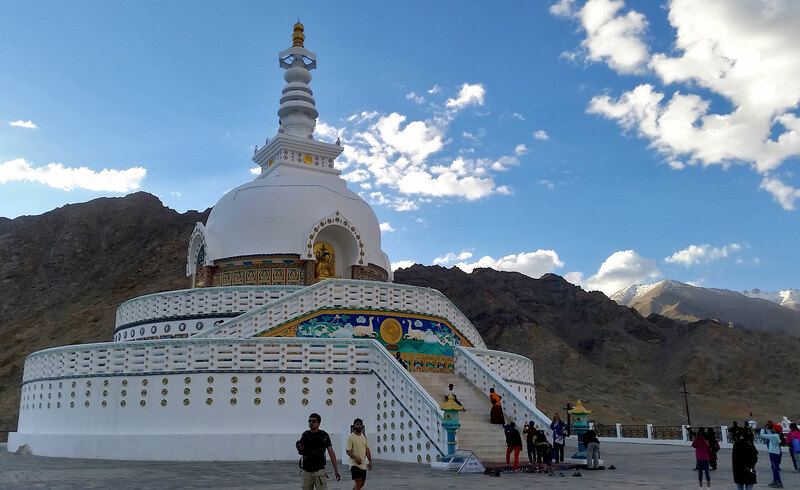 We also visited the Shanti Stupa, a large white Buddhist stupa built in 1991 by Japanese Buddhists. 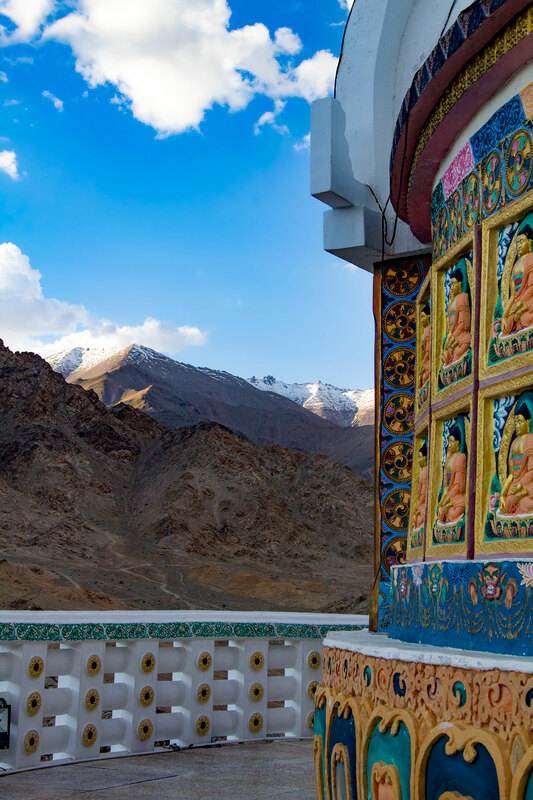 We’re now exploring Leh town, catching up on a bit of retail therapy before we head off for dinner at a local Ladakhi restaurant. 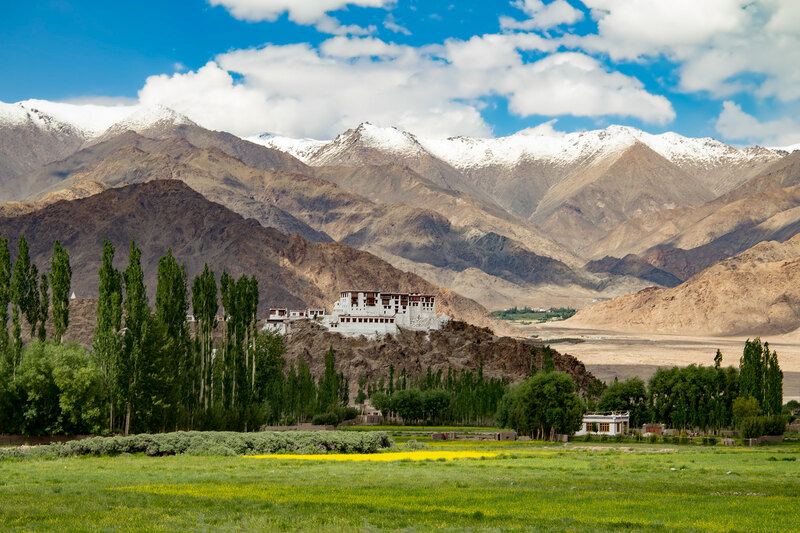 Leh, once a sleepy town that enjoyed a small influx of mainly western tourists in June-September when the high passes over the Himalayas are open has become a busy city over the past couple of decades since mainstream tourism has opened up here. 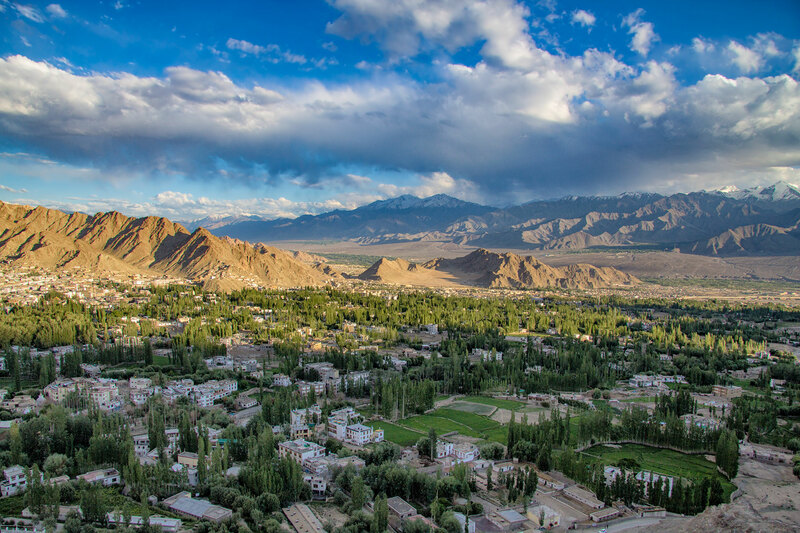 After a freak cloudburst and flash flood swept through Leh in 2010, much of the town was revamped and a new pedestrian-only shopping mall has been built. The same funky shops, cafes and restaurants are to be found, but away from beeping horns and crowded lanes leading into the town centre, making it a peaceful and fun space to stroll around and pick up a few souveniers or grab a coffee and cake.